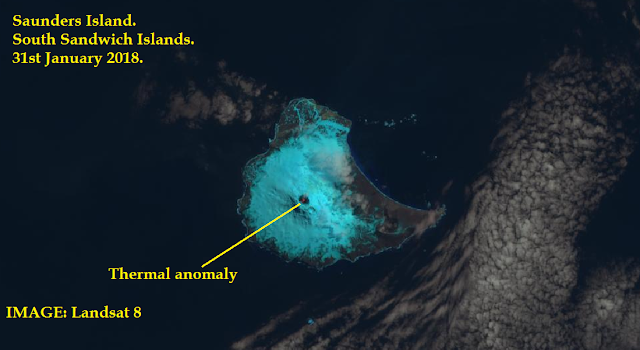 A thermal anomaly inside the summit crater of Mount Michael on Saunders Island was discovered in a satellite image by Landsat 8 taken on January 31, 2018. 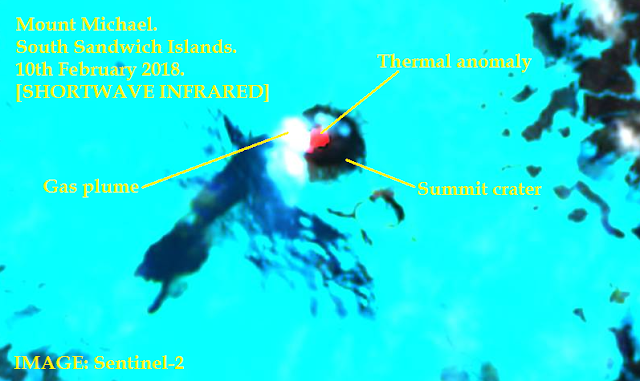 Now in new images from February 10, 2018, the thermal anomaly is still present inside the summit crater of Mount Michael in the Southern Atlantic Ocean. 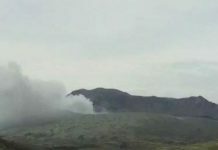 This is clearly indicating that some elevated activity is taking place inside the crater of the volcano. 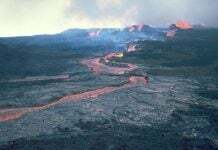 It could either be low level strombolian activity, or lava flows covering a small part of the crater interior, or a new lava lake. 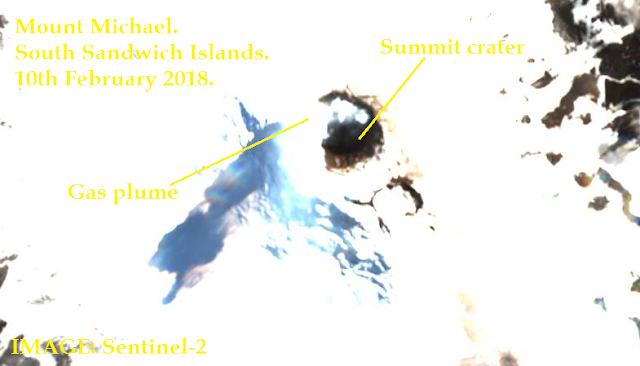 Volcanic activity reported inside the crater of Mount Michael Volcano in the South Sandwich Islands, Southern Ocean, on January 31, 2018. 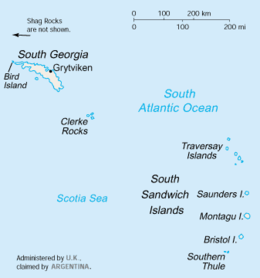 SOURCE: Landsat 8/USGS/NASA. 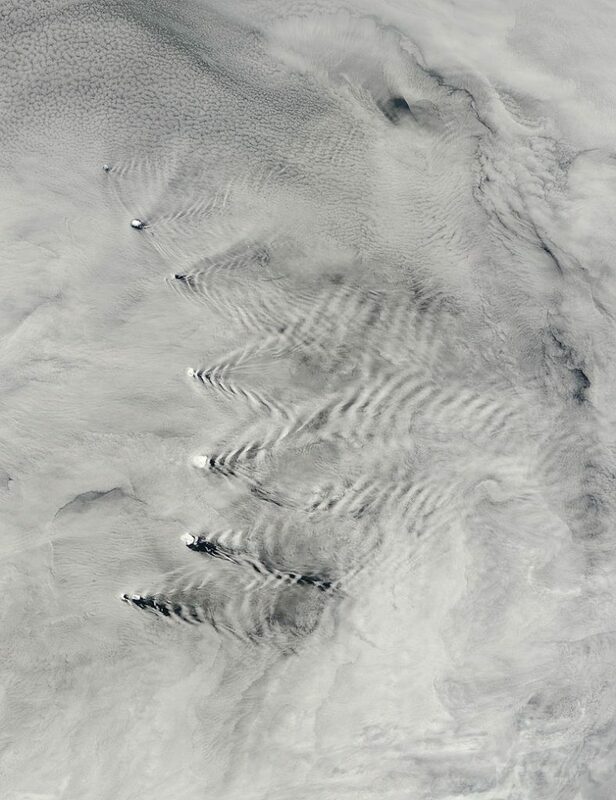 The volcanic activity has increased at Michael volcano on Saunders Island in the southern Atlantic ocean, with a larger thermal activity and a degassing plume visible in and over the volcanic crater on February 10, 2018. Shortwave Infrared image by Sentinel-2/EOS Data Analytics. Natural colour image of the summit area of Michael Volcano near Antarctica. SOURCE: Sentinel-2/EOS Data Analytics. 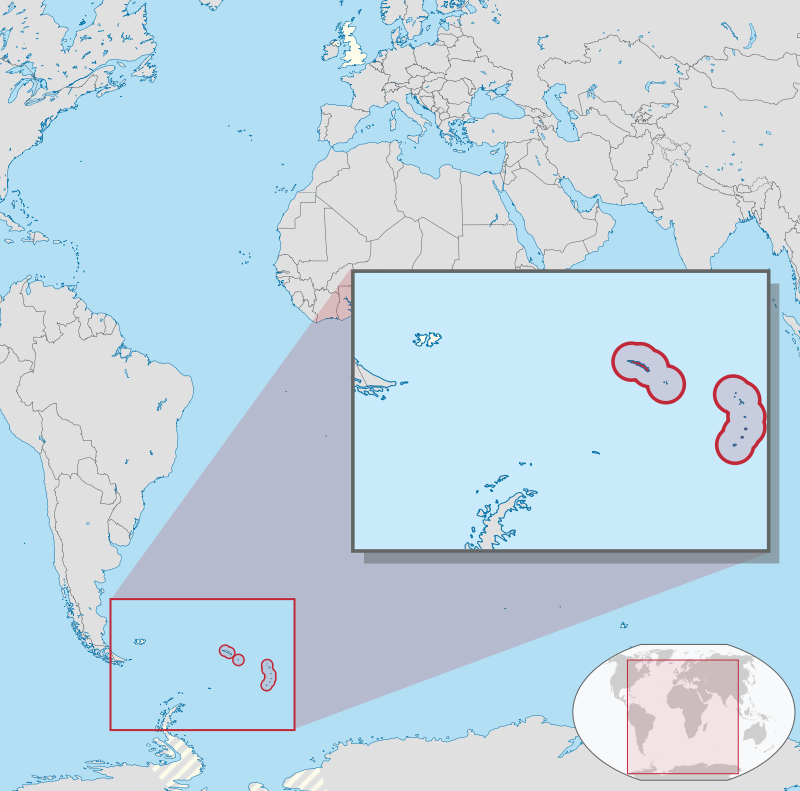 Another example that eruptions occur all over the world, even in remote and inhabited islands, lost between the southern pit of South Amarica and Antarctica in the unknown southern Atlantic Ocean. 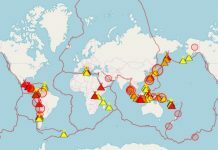 Meanwhile a seismic swarm is currently hitting under the Cumbre Vieja volcano in the Canary Islands.